﻿ What does Myanmar mean? မြန် | Myan2 means fast. မာ | Ma2 means hard, firm, robust, or tough. Another meaning for မာ | ma2 is 'healthy' as in ကျန်းမာ | kjan3-ma2. For a country and its people, the more appropriate word is 'strong' as in သန်မာ | thun2-ma2. Therefore, မြန်မာ | 'myan2-ma2' or 'Myanmar' is 'Fast and Strong' people. မြန်မာစကား | 'myan2-ma2 za1-ga3' meaning Myanmar language is the language spoken by those people, and မြန်မာပြည် | 'myan2-ma2-pyi2', or MYANMAR when used as a reference to the country can be translated as 'The Land of the Fast and the Strong'. No Burmese had raised the eyebrows and debated — at least not from a pure language standpoint — as it seems nothing grammatically wrong with this usage in the Burmese language. Reference to the word "Myanmar" as a language appears to have dated back to the 11th Century Bagan Civilization. In Mya Zedi | မြစေတီ | Mya1 Zay2-De2 Pagoda in Bagan, Prince Yazakumar | ရာဇကုမာရ် | Ya2-Za1-Ku1-Ma2, the son of King Kyansittha | ကျန်စစ်သား | Kjan2-Sit-Tha3 had erected what is now a tourist attraction known as Mya Zedi Pillar Script — ရာဇကုမာရ်ကျောက်စာ | Ya2-Za1-Ku1-Ma2 kjout sa2 engraved in မွန်၊ မြန်မာ၊ ပါဠိ၊ ပျူ | Mon, Myanmar, Pali, and Pyu scripts. Although the United Nations (UN) recognizes the name "Myanmar", some English-educated Burmese living abroad and a handful of foreign governments, non-governmental organizations (NGOs) such as Human Rights Watch group, as well as some foreign media prefer to use the colonial name "Burma" that the British gave when they colonized the country for more than 100 years. The reason is mostly political, and partly because for people like the English-educated Burmese living abroad, they are so used to the name "Burma" without any association of the word with the colonial past; "Burma" certainly sounds more modern and Westernized than "Myanmar". Unlike in the Western countries, names carry significant meaning and pride for the Burmese people. It is not unusual for the Burmese people to change their personal names with the advice of the astrologers to bring health, fortune, and good luck. The official name change of the country from "Burma" to "Myanmar" in 1989 was not recognized by the Western powers and English speaking countries such as the United States, Canada, United Kingdom, Australia, and New Zealand. The main opposition party (NLD) did not support the change. For unbiased perspectives, historians should take note that it took place after the 1988 mass demonstrations and unrest, but before the 1990 general elections. The refusal to use the name "Myanmar" was justified by some non-supporters with the argument that the military government known as SLORC that came to power on 18 September 1988 and still in power after the 1990 elections was not "official" and a legal entity. Today, NLD leader Aung San Suu Kyi is a member of the parliament. Politics still exist but more amicable, and there is an increasing trend towards the usage "Myanmar" in English speaking countries. The name given by the British during the colonial days was neither "Bamar" nor "Myanmar". Here is an experiment and make your own conclusions. Randomly select at least 30 samples of English educated Burmese, and see if they can pronounce "Burma" correctly the way the British or the Americans do. For a Burmese, "Burma" is a difficult word to pronounce as it has unnatural "r" sound in it. The closest spelling in Burmese is Baa-Maa | ဘားမား | Ba3-Ma3 . But then, history, including the name of the country, is written by the winner of wars — Anglo-Burmese wars in this case, and not according to Burmese King Mindon | မင်းတုန်းမင်းတရားကြီး | Min3-dome3-Min3 ta1-ya3 ji3 who ruled the Kingdom of Myanmar မြန်မာ | (yes, Myanmar in Burmese language) that included the ethnic people. The Burmese version of Myanmar history was recorded in Royal Chronicles known as "Myanmar Yarzawin Kyan Mya" | မြန်မာရာဇဝင်ကျမ်းများ | Myan2-Ma2 Ya2-Za1-Win2 Kjan3 Mya3, as well as in Ayedawbon chronicles known as Myanmar Min Mya Ayedawbon | မြန်မာမင်းများအရေးတော်ပုံ | Myan2-Ma2 Min3 Mya3 A-yay3-dau2-bone2 and in Hmannan Yazawin | မှန်နန်းမဟာရာဇဝင်တော်ကြီး | Hmun2-Nun3 Ma1-Ha2 Ya2-Za1-Win2 Dau2 Ji3 with records dating back to periods earlier than King Pyinbya (817-876 CE) | ပျဉ်ပြား | Pyin2-Bya3 of Bagan civilization. In those days, the British were known for their exploits and divide and rule strategies in the empire where the sun never sets. It is not inconceivable that the colonial masters had intended on dividing the "Bamar" from the rest of the "Myanmar" ethnic races. Although the British could have initially adopted the name from Burma's (Myanmar's) neighbor Indians or from the Portuguese mercenary Filipe de Brito e Nicote | ငဇင်ကာ | Nga1-Zin2-Ka2 (who made an earlier contact and was executed in 1613 by the Burmese) with variations closer to "Bamar" than "Myanmar", no correction was made after establishing diplomatic relations with Myanmar Kings. "Myanmar" to "Bamar' could be analogous to "Soviet Union" to "Russia". A number of Burmese people including Burma's Independence Hero General Aung San | ဗိုလ်ချုပ်အောင်ဆန်း | Bo2-joat Oun2-Sun3 who grew up in the British Burma casually used the word "Burma" in English and "Bamar Pyi" | ဗမာပြည် | Ba1-Ma2-Pyi2 in Burmese. 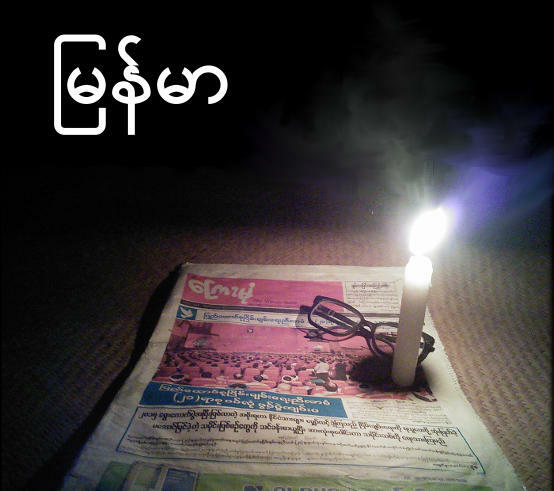 After all, college student Ko Aung San was the editor of the English Newspaper "New Burma". As an author, AUNG SAN referred to the Burmese ethnic race as "Burman" in English and "Bamar" | ဗမာ | Ba1-Ma2 in Burmese language. During his struggle for independence, General Aung San used the term "Independence of Burma" | ဗမာ့လွတ်လပ်ရေး | ba1-mah1 loot-lut-yay3 in his speeches and writing. The army he led to fight the British at the age of 27 was known in English as Burma Independence Army (BIA) in English and ဗမာ့လွတ်လပ်ရေး တပ်မတော် | ba1-ma1 loot-lut-yay3 tut-ma1-dau2 in Burmese. However, Bogyoke Aung San was careful to use the word "Myanmar" in 1947 Pinlone (PangLong) Conference | ပင်လုံညီလာခံကြီး | pin2-lone2 nyi2-la2-khan2 ji3 when he met with the ethnic leaders and persuaded them to join the Union. Here is the excerpt of General Aung San's Pinlone Conference dinner speech. When the Anti-Fascist People's Freedom League (AFPFL) Party | ဖက်ဆစ်ဆန့်ကျင်ရေး ပြည်သူ့လွတ်လပ်ရေး အဖွဲ့ချုပ် (ဖ.ဆ.ပ.လ) | Pfa1-Hsa1-Pa1-La1 led by Aung San was drafting the constitution for the independent sovereign state just a few months before he was assassinated, a formal name for ဗမာပြည် | Ba1-Ma2-Pyi2 known as "Pyi-Htoun-Su Myanmar Naing-Ngan" | ပြည်ထောင်စုမြန်မာနိုင်ငံ | Pyi2-Htoun2-Su1 Myan2-Ma2 Nine2-Ngan2 in Burmese was conceived for the first time. From the Burmese language standpoint, "Pyi-Htoun-Su Bamar Naing-Ngan" with the use of "Bamar" | ဗမာ | Ba1-Ma2 would not have been acceptable, as it would have excluded the ethnic people. Some might argue that the reason why "Myanmar" was chosen over "Bamar" was because the later was not a formal word, and that the choice had nothing to do with the ethnic people. It should be pointed out that during the Japanese occupation with the puppet government led by Dr. Ba Maw as the head of state (1943-1945), the country was called State of Burma, or simply "Bamar" | ဗမာ | Ba1-Ma2 in Burmese. This should dispel the mistaken belief even among the educated Burmese people today that the word "Bamar" | ဗမာ | Ba1-Ma2 in the Burmese language was never used as a formal word and in an "official" capacity, and that it is just a colloquial equivalent of the word "Myanmar" | မြန်မာ | Myan2-Ma2. Most people today use "Bamar" as a colloquial word, and since "Bamar" is a subset of "Myanmar", the word is also used interchangeably with "Myanmar" to describe the majority Burmese people. However, the word "Bamar" is never used interchangeably with the rest of the ethnic people such as Kachin, Kayin, Chin, and Shan. They are known as "Myanmar ethnic people" | မြန်မာတိုင်းရင်းသားများ | Myan2-Ma2 Tine3-yin3-tha3 mya3, not "Bamar ethnic people" | ဗမာတိုင်းရင်းသားများ | Ba1-Ma2 Tine3-yin3-tha3 mya3. It is fair to say that the independence movements initiated by the "Bamar" people were joined by some other "Myanmar" ethnic people only in the later time, and there was a need to use a more appropriate term. The Pinlone (Panglong) Agreement on 12th February 1947, for example, included the signatures of the interim Burmese government, Shan, Kachin, and Chin representatives. Karen (Kayin) people only sent observers. 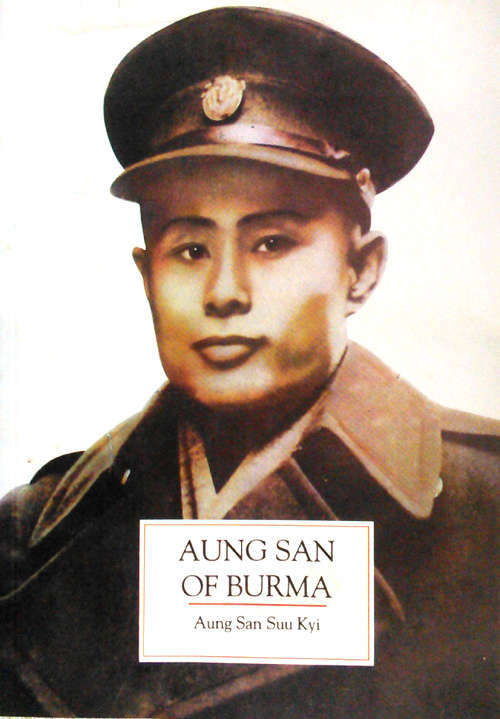 General Aung San who graduated with distinctions in Burmese and Pali in his final year of high-school used both "Myanmar" and "Bamar" in Burmese literary form as a reference to the country. He was the author of the article titled ဗမာ့လွတ်လပ်ရေး အရေးတော်ပုံ | Ba1-Ma1 Loot-lut-yay3 A-yay3-dau2-bone2 (Chronicles of Burma's Independence) in the special issue of ဗမာ့ခေတ် | Ba1-Ma1 Khit (Burma's Age) newspaper on August 1st. 1943. That was the day the Japanese declared the "Independence" of "Bamar" | ဗမာ | Ba1-Ma2. On 27 November 1937 special edition of Mandalay Thuriya | မန္တလေးသူရိယ | Mun3-da1-lay3 Thu2-ri1-ya1 paper, he used the term မြန်မာနိုင်ငံ | "Myanmar Naing-Ngan" | Myan2-ma2 Nine2-Ngan2. See Below. One can reasonably deduce that if "Bamar Pyi" | ဗမာပြည် | Ba1-Ma2-Pyi2 refers to "Burma", then the name "Burma" stands for the country of the majority Burmese ethnic people known as "Bamar" | ဗမာ | Ba1-Ma2. It was either an oversight, considered unimportant, or deliberately left untouched by the authors of the first Constitution. The name of the country after the independence on January 4th, 1948 was to be known as "the Union of Burma" in English. Perhaps, the status quo was because the word "Burma" was the only choice when negotiating for the terms of independence with the British. Moreover, the territories under the British Burma already covered all the ethnic regions (but reluctant by the British to give independence concurrently.) No known historical records existed on the desire and debates coming from Burma's patriots and politicians at that time to introduce a new vocabulary in the English language; such debates would have further delayed the independence. As for the usage of မြန်မာ |"Myanmar" for the country in the Burmese langauge, it was less of a controversy. Just as the United States is referred to as 'The Land of the Free and the Home of the Brave' in The Star-Sprangled Banner, 'Myanmar' refers to anything relating to the 'Fast and the Strong' people. On the other hand, the usage of ဗမာ | "Bamar" per the dictionary definition today is limited to the main racial group who speak the Burmese Language as the mother tongue. As such, လူဝင်မှုကြီးကြပ်ရေးနှင့် အမျိုးသားမှတ်ပုံတင်ရေး ဦးစီးဌာန (လ.ဝ.က) | Myanmar Immigration & National Registration Department (La1-Wa1-Ka1) identifies the race of a person as "ဗမာ + မွန်" | "Bamar + Mon" if her father is a Burmese and mother is a Mon. If she marries a Burmese, her children will be identified as "ဗမာ + ဗမာ မွန်" | "Bamar + Bamar Mon". In terms of nationality, all of them will be မြန်မာ | Myanmar. In this way, various ethnic groups in this country who speak more than 100 different languages and dialects can maintain their racial identity, and yet still be united in 'The Land of the Fast and the Strong' that they call home. The usage of မြန်မာပြည် | "Myanmar Pyi" in place of the original ဗမာပြည် | "Bamar Pyi" in the National Anthem thus reflects the inclusion of all the ethnic people. Putting aside the politics, "Aung San of Burma", I am sure, would have no objection if he had lived to see the independence of "Burma".